As for handling, the G1 X has a larger grip to wrap your hand around, but both feel as well built as each other. The ergonomics are virtually identical too, with full control over exposure modes and exposure compensation taken from the top plate. Both compacts also offer a hot shoe for the attachment of an optional flash and support Canon’s range of EX-series speedlites, such as the Canon speedlite 270EX II and Canon speedlite 430EX II. 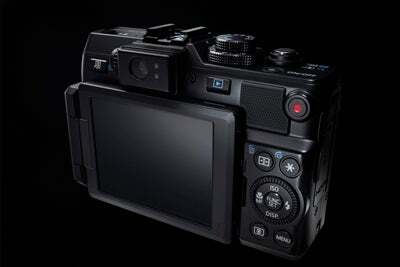 The Canon PowerShot G1 X’s top plate controls. 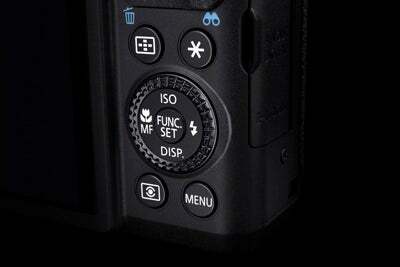 The Canon PowerShot G15’s top plate controls. 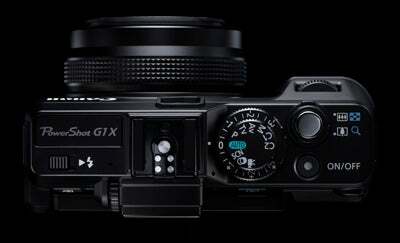 Here we can see how the G1 X is similarly laid out to the G15. There’s are very few differences at the rear of the two cameras other than the G1 X has a tilting screen and the G15 doesn’t.